There’s a whole lot of change and experimentation going on in the NASCAR world. The All-Star race at Charlotte featured aero ducts, more downforce and a restrictor plate on the 1.5-mile track. A similar package was run in the NASCAR Xfinity Series at Pocono Raceway and again last weekend at Michigan International Speedway. Now, there’s talk of trying the package on the Cup cars when they return to Michigan in August. 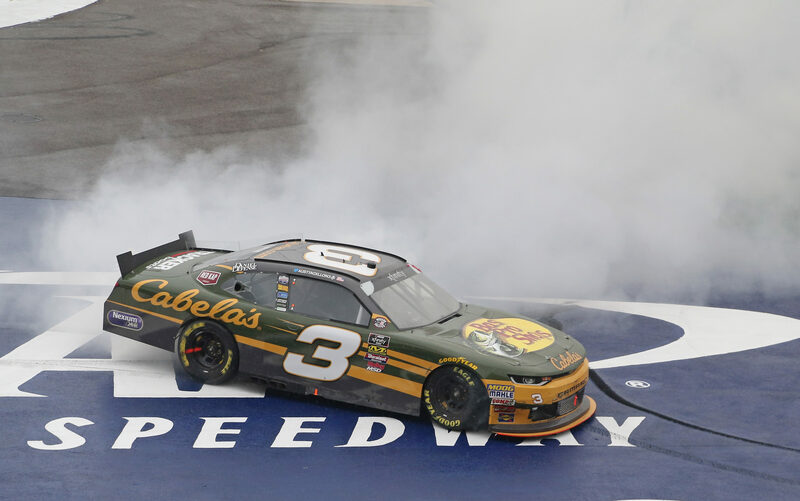 Austin Dillon won the Xfinity race at Michigan International Speedway. He’s all for it. Would you want this package in the Cup car at Michigan? How close is it to superspeedway racing? Austin Dillon’s wish has partially come true. The July race will welcome a new superspeedway rules package to Daytona International Speedway. The width of the rear spoiler will increase from 53″ to 58″ inches. That will highly increase the drag and downforce on the back of these cars. It will also highly increase the effect of the side draft. The plate size for Daytona will remain unchanged at 56/64ths. At Talladega, NASCAR introduced a smaller restrictor plate of 55/64ths following the rollover by Jamie McMurray in practice. No aero ducts have been announced for the Daytona race. That also remains unchanged. Earlier in the season, Kurt Busch made comments that the rear spoiler was too narrow.